Chakra Meditation with Archangel Orion! This guided meditation with Orion will help you to relax and experience a profound vibrational journey by tuning into the awakened energy of star light. 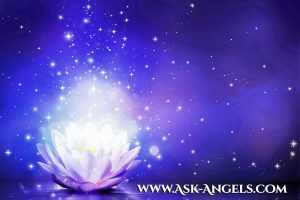 All you have to do is listen as Archangel Orion gently and lovingly guides you through cleansing and balancing your chakras and elevating your vibration with the Divine light channeled through the stars. Alongside this message from Orion a beautiful energy has been created to assist you in opening to your inner wisdom, re-energizing your soul light, and creating a vibrational opening within you so your true inner wisdom and Divine authentic light can shine though. When you open your heart, relax, and become aware as you listen, you feel a profound shift as the Divine star light and guidance from Orion works to cleanse and refresh your chrakas and the very soul light which you already carry within. This guided meditation is channeled by Melanie Beckler and set to beautiful Alpha- Theta meditation waves to help you to effortlessly relax into your meditative space and so you can experience the full benefit of connecting with Archangel Orion and experiencing your journey into star light. P.S. If you were wanting to learn more about your Chakras, click here and learn about your Earth Star Chakra.